A technical glitch halted trading on the New York Stock Exchange on Wednesday for more than three hours. The White House, the Department of Homeland Security, and NYSE have said that the glitch did not result from a cyberattack. A series of recent messages from notorious hacktivist group Anonymous, however, has many people thinking otherwise. 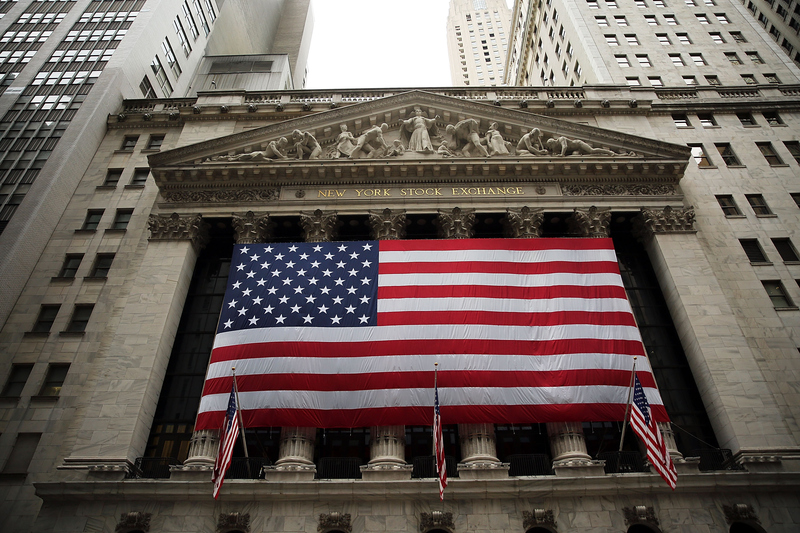 The group hasn't claimed responsibility outright, but Anonymous' Wall Street tweets could mean trouble for NYSE and the idea of American capitalism in general. The idea of a cyberattack isn't far-fetched. Anonymous, probably the most famous (or infamous) hacking group in the world, has targeted Wall Street before (think Occupy Wall Street). That's because Anonymous proudly opposes what it calls "big ideologies," including religion, socialism, and our very own capitalism. In a video posted to the group's YouTube account on June 27, a masked spokesperson declares that these ideologies "are all forms of slavery." Later in the video, the group calls for its followers to take action against these ideas. We need more people in this fight. We need more people speaking up, making videos, writing articles, getting this information onto the national and international stage. Watch the whole video for yourself below (but fair warning: It's about as creepy as something out of a big-screen thriller). The tweet hardly seems like a joke, but is it pure coincidence or something more? Given Anonymous' reputation and its previous messages, like the YouTube video, there are several possibilities. The feds can say what they want, but that tweet will never stop being convincing. Also convincing: The homepage of The Wall Street Journal's website went down just minutes after the NYSE glitch. Anonymous is no friend to Wall Street, so it makes sense that it might potentially target two massive symbols of the Street at the same time. If it really wasn't Anonymous, maybe the glitches were caused by a sympathizer. The YouTube video's creepy call to action could have worked, inspiring followers to plan cyberattacks. If the glitches really were internal, and not the result of a cyberattack, then we all need to pay attention to Anonymous the night before the next Mega Millions jackpot is announced. Anonymous has been tweeting and retweeting nonstop about Hacking Team, a company that sells technology equipment to government agencies to fend against cyberattacks. For one moment Tuesday night, the group took a break to muse about Wall Street — and predicted a major shutdown on one of the world's largest stock exchanges. That's one seriously lucky guess. Regardless of whether or not Anonymous predicted, inspired, or organized Wednesday's glitches, we can pretty much assume that the group supports what happened. Following the news of the NYSE shutdown, Anonymous called for a protest outside the stock exchange via Twitter. As for the cause of the glitches, let's keep those red flags raised for now.